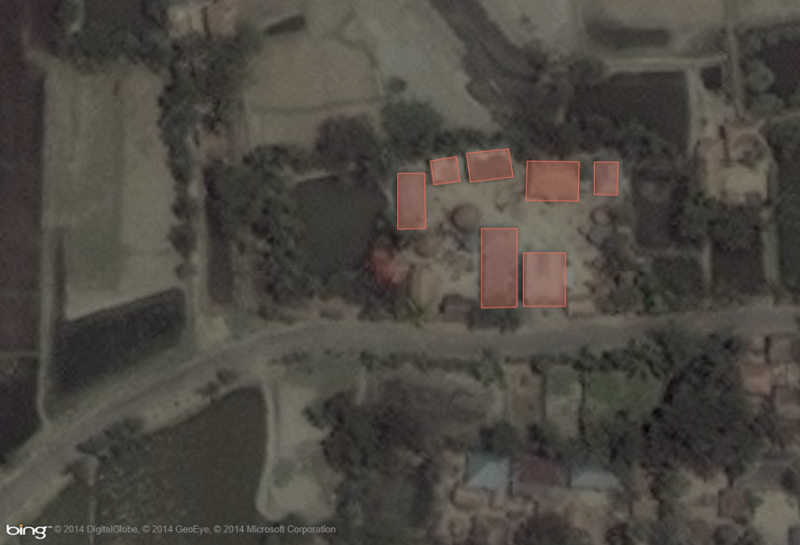 This mapping project directly supports agricultural programs in Bangladesh. Data created from this mapping effort will be used by USAID and its partners who are working with rural farming villages in Bangladesh. 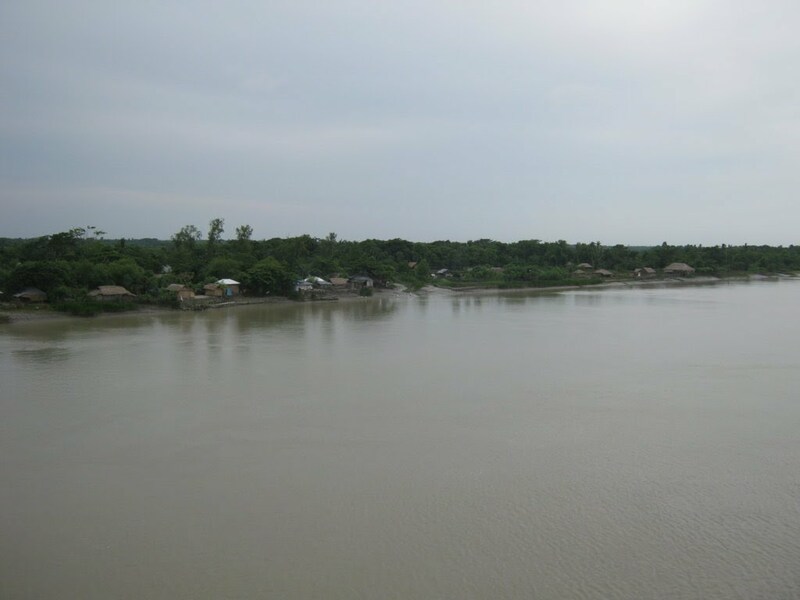 It is intended to help communities in the Khulna District improve land management and increase agricultural production. 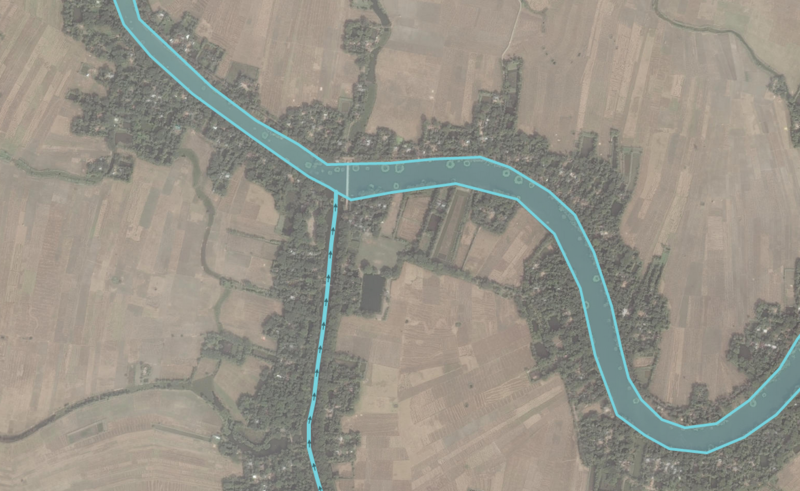 The desired outcome from this project is to have an accurate and complete transportation network, along with features that can be used for agriculture such as rivers, ditches, ponds, and buildings. Do not trace the rice paddies. Rice paddies are the dark green areas on either side of the river with small footpaths in between. If you see features on the map that do not exist in the imagery please make updates as needed. Save often when editing Coastlines and Area River features as they are continuous and appear in multiple cells across the project area. 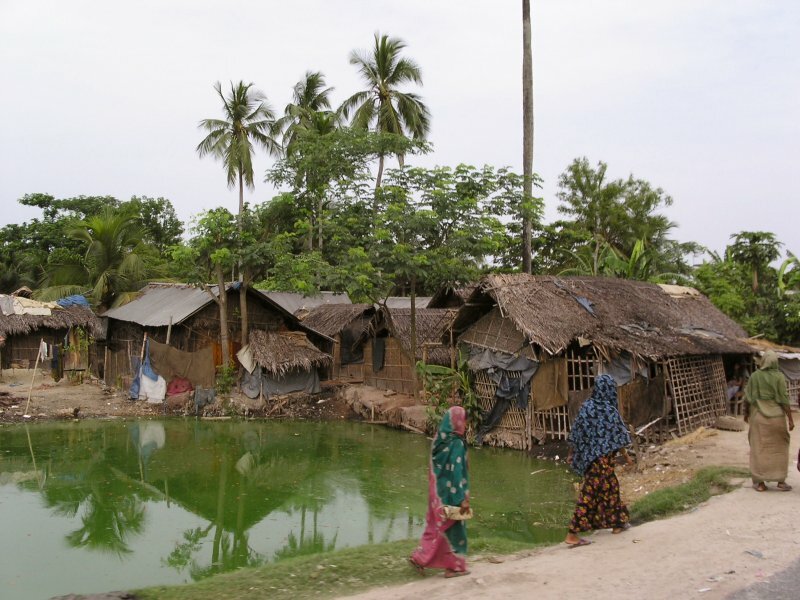 Bangladesh has a tropical wet season (monsoon) and a dry season. October through May is the dry season and May through September is monsoon season. 80% of the average annual rainfall occurs during monsoon season. 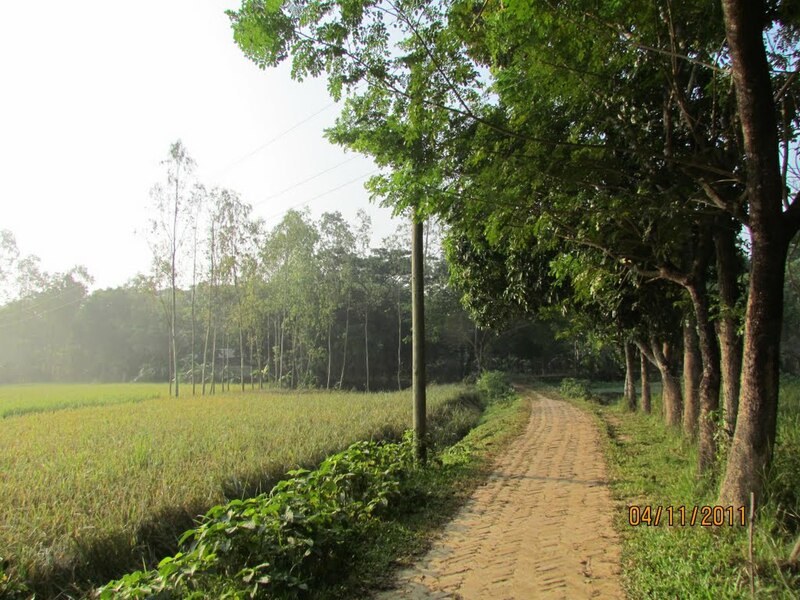 Agricultural land in the Khulna District of Bangladesh varies greatly depending on the season. Therefore, it is helpful to use different satellite imagery sources to get an alternative perspective on land use. 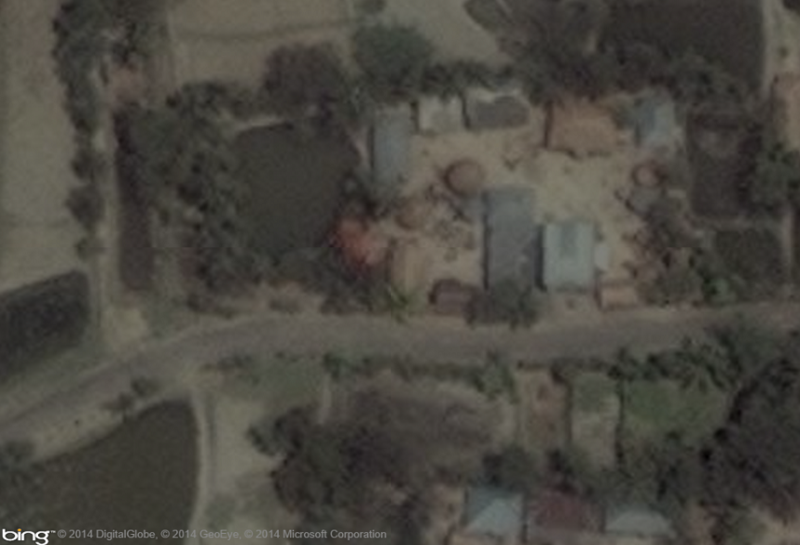 The NextView licensed satellite imagery was collected January 15th, 2014 by DigitalGlobe ©. Note: The collection date may be different from the Bing imagery. There may be an offset between the Bing imagery and the Digital Globe imagery in certain parts of the tasked area. In such cases please adjust the features to align with the Bing imagery. Most of the large rivers in this region have very jagged coastlines which are incorrect. These features can easily be adjusted by moving each node to align with the coastline. Coastlines can vary depending on the time of year, but are generally distinguishable from land by a contrast in color and coastline features. Smaller rivers and ditches follow gravity and naturally flow into the larger area rivers. For more information visit the Waterways Wiki. Here’s an example of an area river feature. Notice the rice paddies on either side, we are not tracing rice paddies for this project. Linear rivers and smaller and flow into Area rivers. For this project, linear rivers are less than 15M wide. Depending on the editor you are using you may not be able to measure the width. If you do not have a measure tool, estimate the width of the river by comparing it to surrounding features. Here’s an example of a linear river flowing into an area river feature. Notice the muddy discharge from the liner river. A ditch is a small to medium depression built to channel water. Ditches can be used to move water for irrigation, drain water from low lying areas, and are often found along the roadside to prevent flooding and help keep roads open during the wet season. Ditches usually flow to or from a larger body of water, such as a river or large pond. Here is an example of a ditch. This ditch is used to drain water from adjacent fields so they can be used for agriculture purposes. Notice the small bridge and large truck on the Zilla road in the photo. A homestead water body is a man-made water catchment located near buildings and houses. Water color will vary greatly depending on the purpose of the catchment. These water bodies can have multiple functions, examples include fish ponds, shrimp ponds, irrigation, and livestock during the dry months. For more information visit the Water Wiki. ####DO NOT Trace rice paddies. Refer to the River Area image for a good example of rice paddies. Here’s an example of homestead water bodies. These features are generally square or rectangular in shape, but can be circular in shape as seen in the image. Buildings in this region are typically one story structures constructed from concrete or bamboo and have metal or thatch roofs. Common building types in this region include, but are not limited to: homes, health clinics, schools, mosques, temples, shops, rice mills, livestock shelters. For more information visit the Buildings Wiki. Here is an example of common buildings. Notice the different roofs of the buildings in the ground photo. A National Highway (Trunk) is the highest Road classification in the transportation network as defined by Roads and Highways Department of the Ministry of Communications (RHD). For a breakdown of the proposed road conventions in Bangladesh please reference the Bangladesh OSM wiki. National Highways are paved, have road surface markings, and have multiple lanes. 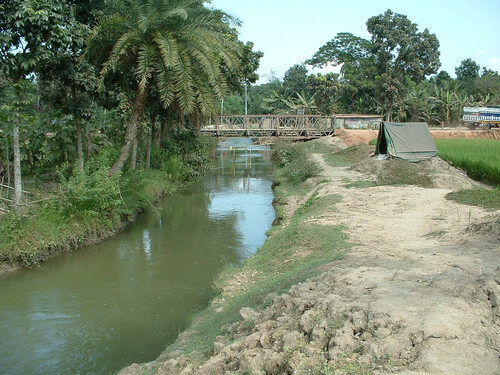 For additional information reference this list of roads and highways in Bangladesh. 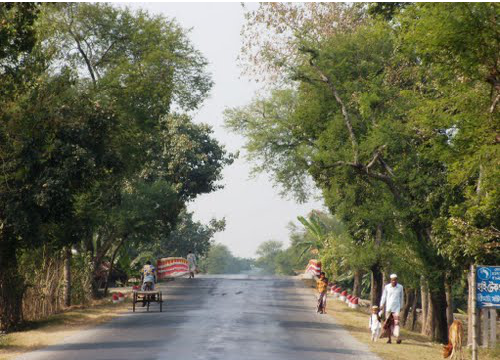 A Regional Highway (primary) is the classification for all primary roads in Bangladesh as defined by the Roads and Highways Department of the Ministry of Communications (RHD). For a breakdown of the proposed road conventions in Bangladesh please reference the Bangladesh OSM wiki. Regional Highways are paved, often do not have road surface markings, and are wide enough to support two lane traffic. 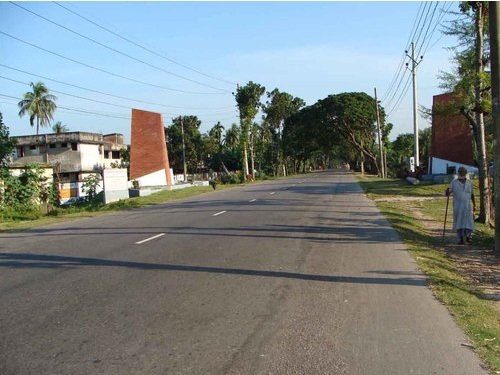 Zilla roads (Secondary roads) are the classification for all secondary roads in Bangladesh as defined by the Roads and Highways Department of the Ministry of Communications (RHD). For a breakdown of the proposed road conventions in Bangladesh please reference the Bangladesh OSM wiki. Zilla roads are paved or have a hard packed surface roads. Zilla roads are more narrow in width than Regional Highways, can can be hard to trace due the tree canopy adjacent to the road. During seasonal flooding events Zilla roads can flood and become very muddy or impassable. 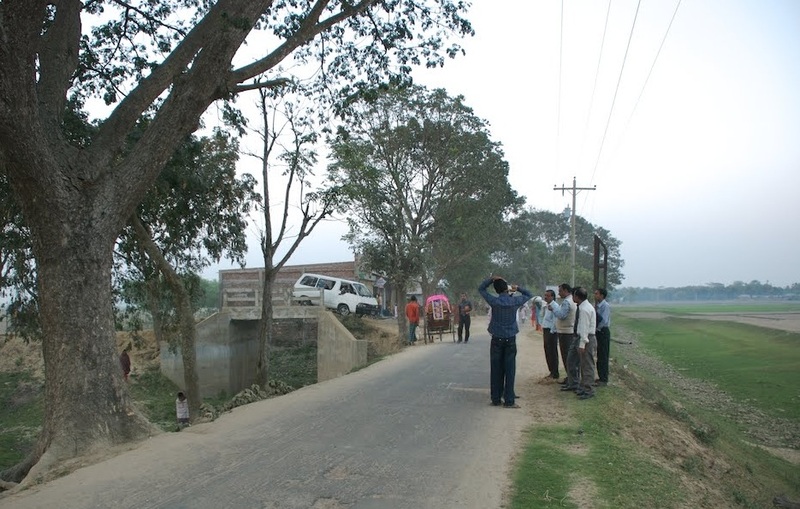 An unclassified road is the lowest classification for a roads in Bangladesh as defined by the Roads and Highways Department of the Ministry of Communications (RHD). For a breakdown of the proposed road conventions in Bangladesh please reference the Bangladesh OSM wiki. Unclassified roads have a loose packed surface or can be paved with bricks. They are very narrow and could support a small motorized vehicle. These roads are hard to see due to tree canopy, and are located off of Zilla (secondary) roads.